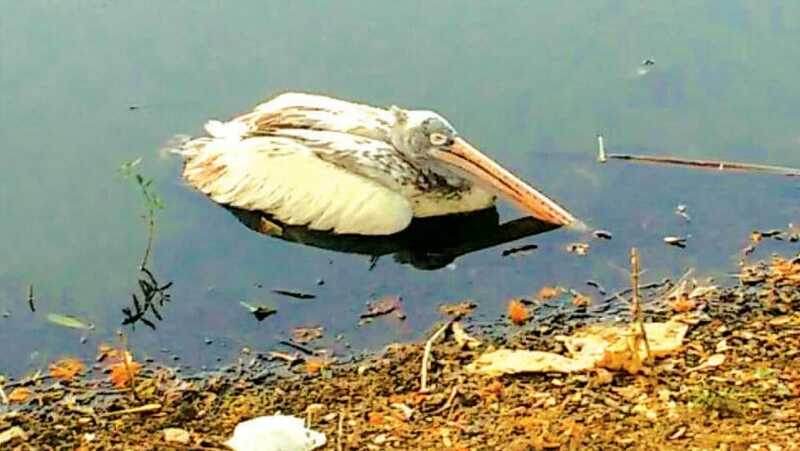 A sick Pelican, which was found floating in Kukkarahalli Lake by the morning walkers, who in turn informed the Forest Department has been rescued by the forest staff this morning. DCF (Wildlife) V. Yedukondalu, told SOM that the sick bird was found by the public and the forest personnel have rescued it. He further said that the Forest Department Veterinarian is providing treatment to the sick bird.